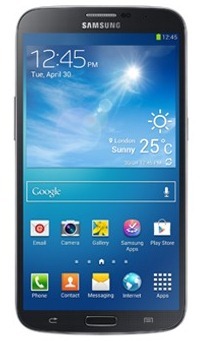 The Galaxy Mega 6.3 was announced alongside its smaller sibling, the Mega 5.8, early last month. Given their enormity and relatively middling specifications, we didn't expect to see the monster handsets come stateside. Now, it seems like at least one of them will, and it's the Mega 6.3. 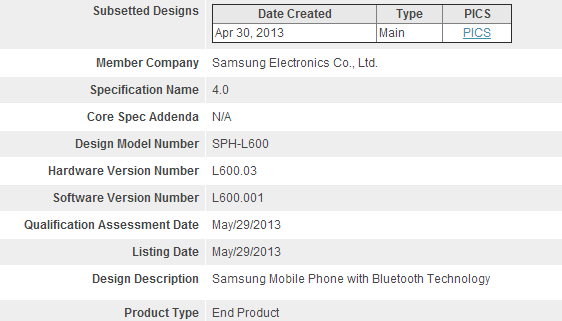 A recent Bluetooth SIG filing for model SPH-L600 - a designation with basically no known history - contains little information of use, other than confirming this is a Samsung handset with LTE bound for Sprint, as can be deduced from the model prefixes. However, we have good reason to believe (via a reliable source) that the screen size of this device is 6.3 inches, a description that only the Galaxy Mega 6.3 fits. The display dimensions also don't really match up with Note III rumors, and the model designation wouldn't seem to place it in that device's range. The Note II on Sprint was model SPH-L900, so the SPH-L600 wouldn't make sense as a successor device. This is the first we've heard of a Mega headed to a US carrier, and it'll be interesting to see what the response to such a huge phone is. Hopefully, we'll be learning more about the Sprint Mega 6.3 in the coming weeks and months.